In 2004 I had the opportunity to interview Seth Riggs for the publication Journal of Singing. I’d like to post that interview here so that you may have a better understanding of some of the methods I use for voice teaching. Seth Riggs, author of Singing for the Stars, is a teacher of four winners of the National Metropolitan Opera Competition in New York City, over 100 Grammy Award winners, and countless famous Broadway performers, including Bernadette Peters, Anne in Annie Get Your Gun; Douglas Sills, Pimpernel in Scarlet Pimpernel; Guillaume, Phantom in Phantom of the Opera; Peter Gallagher, Sky in Guys and Dolls; and Whoopi Goldberg in A Funny Thing Happened on the Way to the Forum. His Clients include Stevie Wonder, Barbara Streisand, Anita Baker, and Natalie Cole, whom he was teaching when I arrived for this interview. As impressive as that is, Mr. Riggs is not without controversy. Ejected from NATS (which we will discuss), Seth is both one of the most giving individuals I have met and also extremely confrontational at times, especially when the subject is voice teachers who, in his opinion, do not provide a worthwhile service. But in the end, an undeniable passion for singing, vocal technique, and the career development of singers fuels both sides of his rather large personality. Seth is not a voice scientist, and his pedagogy is unique. It de-emphasizes breathing, focusing on vocal fold function and vowel modifications in the bridges. He also stresses a much longer chest register in the female voice, with the mix (the most important aspect of singing in Speech Level Singing) no: occurring until G4-Bb4. All of this occurs with the larynx at a neutral speech level, which is quite different than most Jo Estill-based voice techniques. Seth’s technique has evidenced considerable success across many genres, and through my own experience using it in my studio, I have found it to be extremely efficient and invaluable to my students. Randy Buescher: What is Speech Level Singing? Seth Riggs: Speech Level Singing is a condition not original to me. Everyone talks about not reaching up or pushing down when you sing, that everything should be on one level, pretty much where you talk. Why? Because the vocal cords adjust on a horizontal; therefore, there is no reason to reach up for a high not or dig down for a low one. However, many people do this. 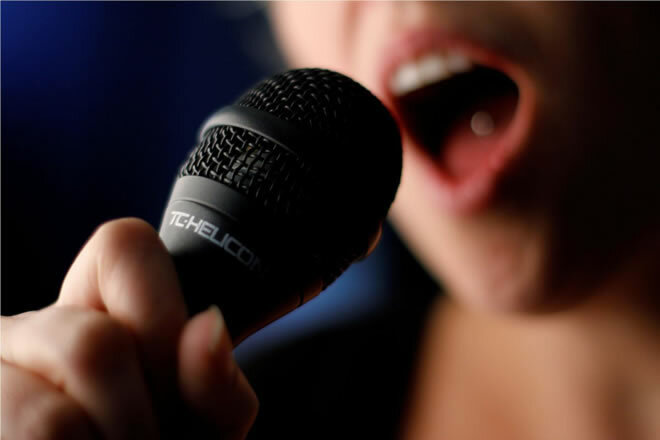 In Speech Level Singing we focus on eliminating extrinsic interference. RB: Where did your concepts for Speech Level Singing come from? SR: The Italian school, and very much influenced by Antonio Cotogni, Mattia Battastini, and E. Herbert Caesari, who of course were influenced by their teachers Ricardo Daviesi and Signor Muti, and then reaching back to the original Schola Cantorum. It’s very bel canto, and as the young people say, very old school. RB: A lot of your exercises, you claim, are derived from the old castrati method. SR: Yes, in that although those young men were altered, they did, however, get a longer vocal cord as they matured. Because it was a male voice, albeit a very high one, they needed to join the chest voice to the high voice. To do this they used a device called the puppet or witch’s voice, also known as the pharyngeal voice. It’s a direct hookup between where the vocal cord is vibrating along its whole length (chest) to where it damps (head). It builds the bridge between them, the mix. It is, however, a high larynx condition which we don’t want when all is said and done. Nevertheless, it does give the singer the sensation of a totally connected line, which is the most important aspect of singing. There is no break into falsetto. The puppet or witch’s voice is also a very important aspect of R&B. RB: You do not emphasize breathing much. Why is that? SR: I’ve met a lot of great breathers who could not sing well, and some horrible breathers who could sing very well. It’s not that breathing is totally unimportant; it’s just that it is the most overly discussed aspect of singing today. Besides, if the larynx is not in the right condition regarding position and vocal fold structure as it relates to registrations; it will not receive the air in a proper manner. Breathing just needs to be put in perspective as part of the system and not the end all and be all of singing as it is in many circles. When I do discuss breathing (if that’s the issue with the singer), it’s very much along the Richard Miller’s line of discussion. RB: You work with a lot of non-classical singers. What caused you to go in that direction? SR: I have seven children. I needed to make money, and you can’t do it in opera. Opera is a European art form. The American forms are Music Theater and Pop. Although there is American Opera, it is essentially not our form. The people that are making money are in Pop and Music Theater. RB: While you’re mostly known as a pop teacher, you have had lots of success in classical music. SR: Yes, and that is my background. I had an opera scholarship to the Peabody Conservatory of Music (the musical division of John Hopkins University), and received a masters at the Manhattan School of Music. I was going to get a doctorate on the west coast until I heard the vocal department chairperson sing. RB: Your concept of chest in the female voice is very interesting in that it is much longer than in standard pedagogy. SR: Women can feel a sort of change at E5+, but they can get a lot more power without a harmful effect if they carry chest to G4 and begin the mixing into the ab4 through B4. If they do it lower, at E4 to F4+ it gets very mushy. RB: Some females delay the mix until Bb4 in your technique. Is that OK? SR: Yes, as long as the larynx stays relatively neutral and speech level. RB: Will that work in opera also? SR: Absolutely! Marilyn Horne did it, Dawn Upshaw and Sylvia McNair do it, and they’re all great singers. Many mezzos have trouble getting through the first passaggio because they bail on their chest voice too early and don’t practice a pedagogy that can strengthen that blend. RB: Well, what happens in the female voice when they sing in chest until G4-A4? SR: Well, a bridge happens around G4-Bb4. The vocal cord changes its posture, and with that there is transfer of resonance. The resonance splits; some is in the mouth (on the hard palate), some is in the head (some behind the soft palate), and then the cord damps as we go higher. The inability to get the back two thirds puts too much stress on the part of the fold where the dampening should occur. This is the part of the fold where most nodules occur. At E5+ the second bridge happens and at B5+ the third. A fourth bridge occurs at the E above that. Another bridge would happen at approximately the A above that. It’s rare, but it is done; my dear departed wife could do it. A lot of little kids can do this without strain, and so can adults if they don’t let the larynx rise. If the larynx rises all the bridges go out the window. If you imbalance the first bridge the “disconnect” will inhibit the subsequent bridges from occurring correctly. RB: By bridge you mean passaggio? In part two of my interview with Seth Riggs, we discuss some of the students he has worked with and his career.